Jamie Oliver's returns with his second bestselling book, The Return of the Naked Chef. The bestselling, brilliant young chef is back with a second book to accompany a major BBC TV series. 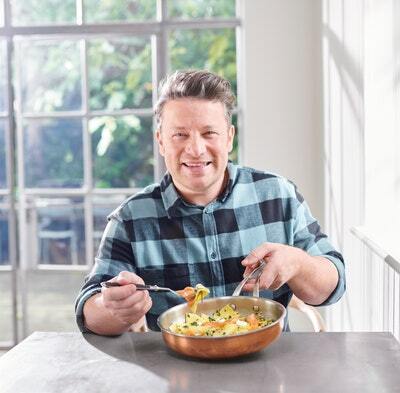 There is no doubt that Jamie Oliver has captured the heart of the nation with his passion for simple, delicious, home-cooked food. His talent is huge, his style relaxed and his fans just want more! So here it is ... 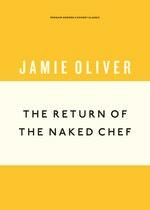 The Return of the Naked Chef is another book filled with fresh ingredients, 'pukka' recipes and boundless enthusiasm. Get stuck in with Jamie Oliver! Jamie Oliver's career started as a chef at the River Café, where he was quickly spotted by the television company that made him famous as The Naked Chef. He has since published a huge range of bestselling cookery books, including The Naked Chef, Happy Days with the Naked Chef, Jamie's Dinners, Jamie Does, Jamie's Ministry of Food, Jamie's Kitchen, Cook with Jamie, Jamie at Home, Jamie's Italy, Jamie's Great Britain, Jamie's 30 Minute Meals and Jamie's 15-Minute Meals. 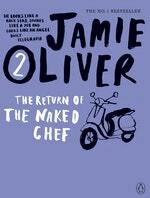 %%%Jamie Oliver returns with his second bestselling book, The Return of the Naked Chef. Love The Return Of The Naked Chef? Subscribe to Read More to find out about similar books.